 Industrial Tooling Solutions Inc. is a high precision cylindrical carbide cutting tools manufacturer as well a provider of high quality custom machining. At ITS we understand the competitiveness of the manufacturing industry and we work constantly with all our customers to use the latest grinding technology to innovate and develop quality tooling, with longer tool life, that would increase productivity at a lower cost. Our philosophy has always been one of trust and respect. Based on these simple principles, over the years we have developed a very trusting relationship with all our customers whether they are a large corporations or small owner/operator establishment. We have continued to invest in the latest technology to stay competitive while meeting our customers’ demands and giving them the benefit of service, quality and precision they come to rely on.